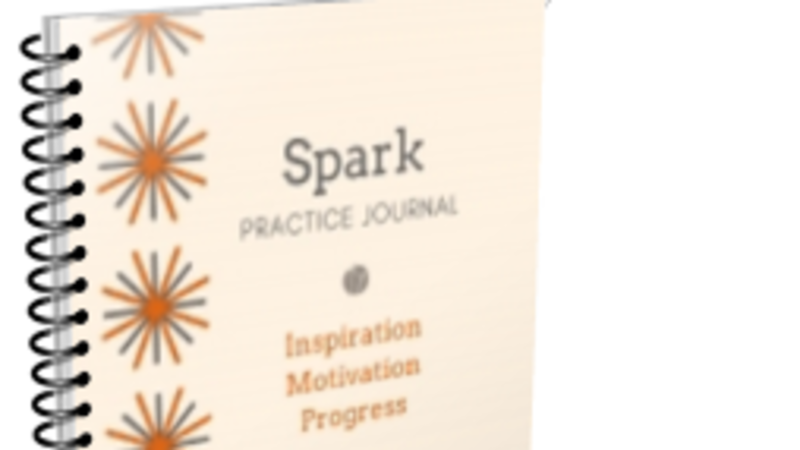 Your Spark Practice Journal is more than just a place to keep a record of your daily practice. It is a powerful tool that will help you identify and commit to your harp goals and create the steps to achieve them. It will help you focus your practice each day, check your progress weekly and remind you each month of where you started, what you've accomplished and what goals still lie ahead. 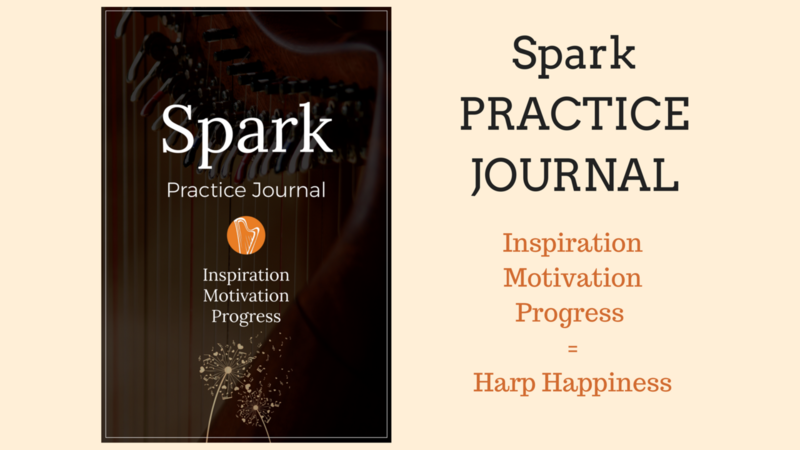 You simply print the pages of this journal and keep them in a notebook by your harp where you can refer to them as you practice. The Journal includes a cover page and instructions for assembling your journal. Use On the Horizon page to Dream, Imagine and Plan. This page begins with asking you to define your "dream" goals, to commit yourself in writing to what you really want to do with your harp playing. Then you take note of performances, projects and pieces on a shorter timeline. The Weekly Pages and Notes Pages provide Follow Through. These pages help you break down your objectives into manageable weekly goals. Write down what you do in your practice each day to meet those goals. Use the Notes page at the conclusion of the week to review and assess your progress. The Monthly Reflections Page adds an Accountability Check. At the end of each month, it is important that your spend a few minutes in reflection on the progress you have made toward your goals, long term and short term. What have you learned about music, the harp and yourself? What skills have you improved during the month? What have you learned? What is next? At the end of each month, print out a new set of pages beginning with a new On the Horizon page, and start the new month with a fresh perspective.